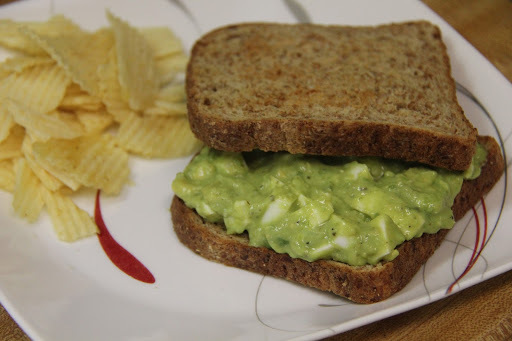 This is a recipe for a quick fix sandwich. 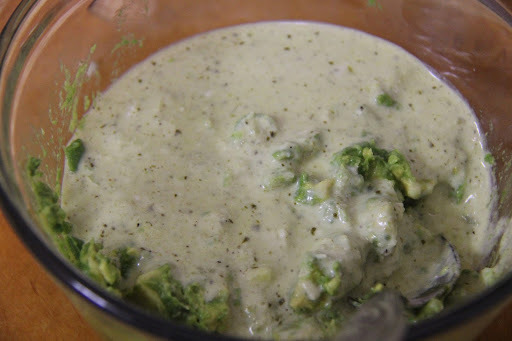 1.In a grinder blend the sping onions,basil pesto and yogurt with some salt. 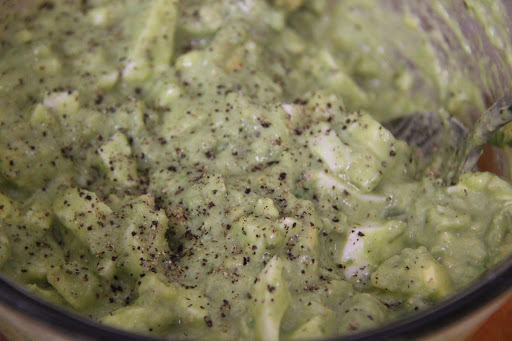 2.Coarsely mash the avocado in a bowl. 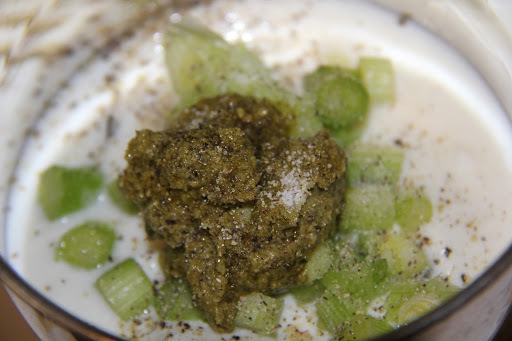 3.Add the yogurt mixture to it. 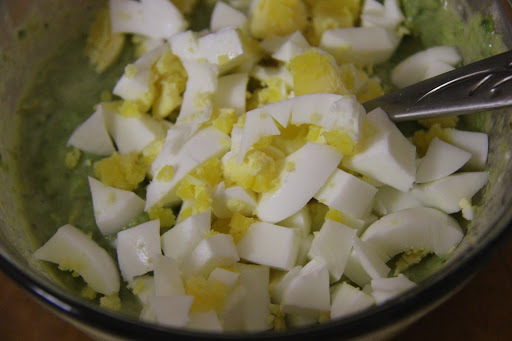 4.Chop the egg and add it to the bowl. 5.Add salt,pepper and lemon juice to taste. 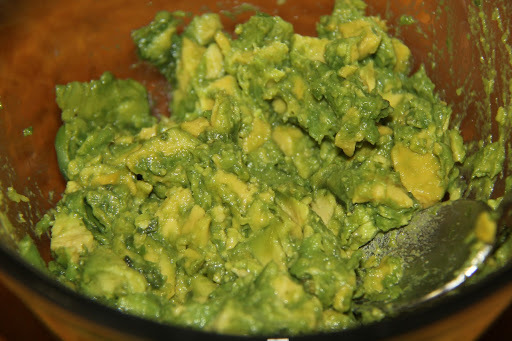 As Avocado turn dark when exposed to air,it is best to consume the same day. This goes great with pita bread or any sandwich. You can also add herbs like chives or dill to your yogurt blend.